Lahore: Pakistanis on Sunday voted for the parliamentary seat being contested by ousted prime minister Nawaz Sharif's ailing wife in a test of support for the family after the Supreme Court dismissed Sharif from the office in the Panama Papers scandal. The NA-120 seat in Lahore is said to be a stronghold of the Sharif family. It fell vacant after the apex court on 28 July dismissed Sharif on grounds that he was dishonest. 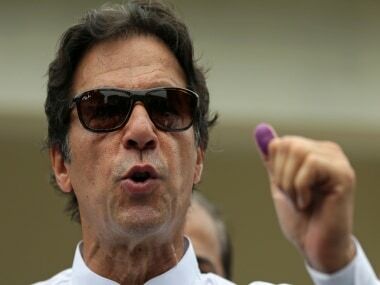 The latest results shared by the Election Commission with the media after counting of votes cast at 134 polling stations out of the total 220, showed that Sharif's wife Kulsoom Nawaz was edging ahead of her main rival Yasmin Rashid of Imran Khan's Pakistan Tehreek-i-Insaf (PTI) party. Nawaz had managed 35,600 votes against Rashid's 28,000. Sharif's wife was fielded by the Pakistan Muslim League-Nawaz (PML-N) party for the by-election against Rashid, and 42 other candidates, including one from the Milli Muslim League, a new party backed by Hafiz Saeed-led Jamaat-ut-Dawa (JuD). Nawaz recently underwent cancer treatment in London and has been recuperating in the British capital. Her daughter Maryam Nawaz managed her campaign. The Coalition for Election and Democracy (CED), an alliance of registered independent civil society organisations, in its exit-poll survey showed a slender lead for Nawaz. The survey was conducted with a sample size of 1,433 voters and the responses were recorded at 55 sampled polling stations out of the total 220 such stations, the CED said. 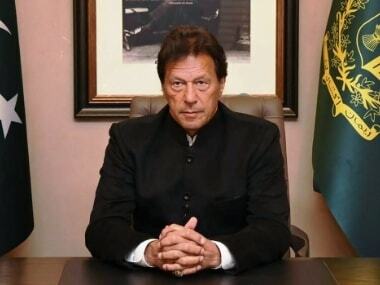 "The survey results show that PML-N bagged 46 percent of the votes against the 40 percent by closest rival of the PTI," it said, adding that the Pakistan People's Party (PPP) could capture only 1.9 percent votes. The election to the parliamentary seat is seen as a test for the PML-N party also because it comes ahead of the 2018 general election in Pakistan. Pakistan Army personnel were supervising the polling process. Earlier on Sunday, the turnout at polling stations picked up in the afternoon after remaining low through the morning hours. Long queues of people waiting to cast their votes were witnessed at the polling stations. Some voters complained about the delay they experienced before they were able to cast their votes and also that their names were missing from polling list, while others rued inadequate facilities, such as the lack of electricity at the stations. Minor clashes were reported between PTI and ruling PML-N workers. However, no one was injured. The activists of the JuD and its another front Falah-i-Insaniat (FIF), campaigned for their candidate Sheikh Yaqoob. The Election Commission had prohibited Yaqoob from using Saeed's picture during the campaign. Saeed is the mastermind of the 2008 Mumbai terror attacks and carries a USD 10 million bounty on his head. He remains under "preventative detention" in Pakistan. 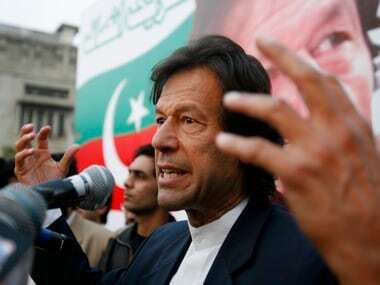 Imran Khan had urged the residents of the constituency to give a verdict against "Godfather" Nawaz Sharif. And Maryam Nawaz said the people of Lahore will elect her mother and "reject the court's decision against my father." She said the results would be an informal referendum on the disqualification of her father by the Supreme Court. The constituency, with more than 3,20,000 registered voters, has thrice elected Sharif as Pakistan's prime minister since 1990. Sharif had won the National Assembly (NA) seat for the first time in 1985.